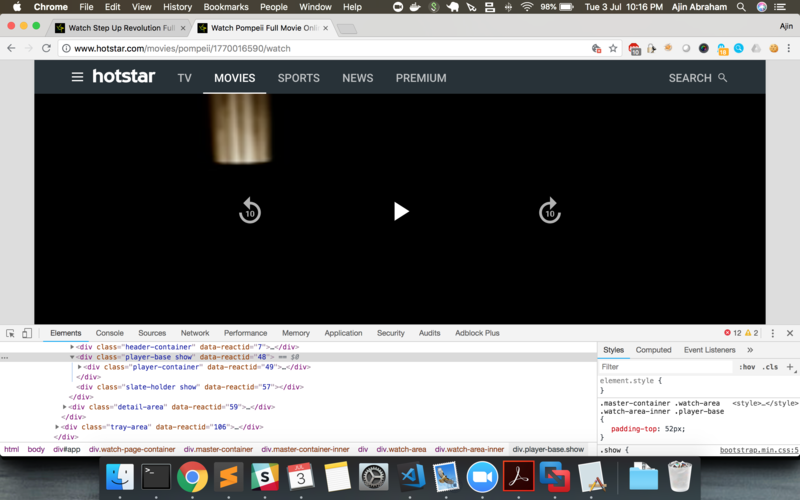 Hotstar is a premium streaming platform like Netflix and Amazon Prime Videos. 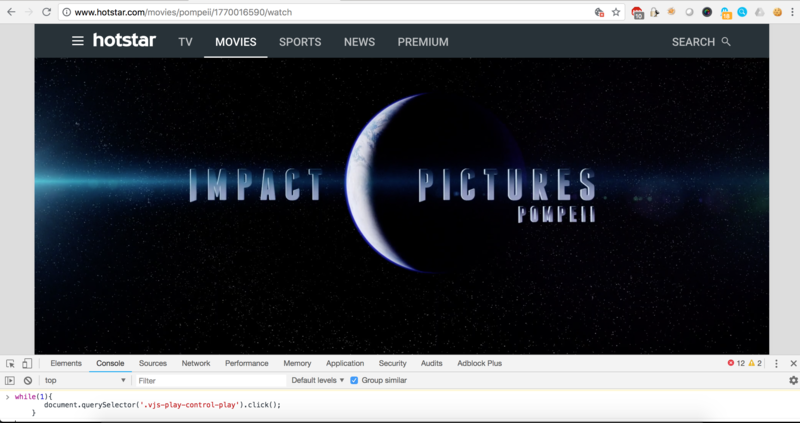 The security controls for restricting premium content were implemented at client side as frontend React JS logic. 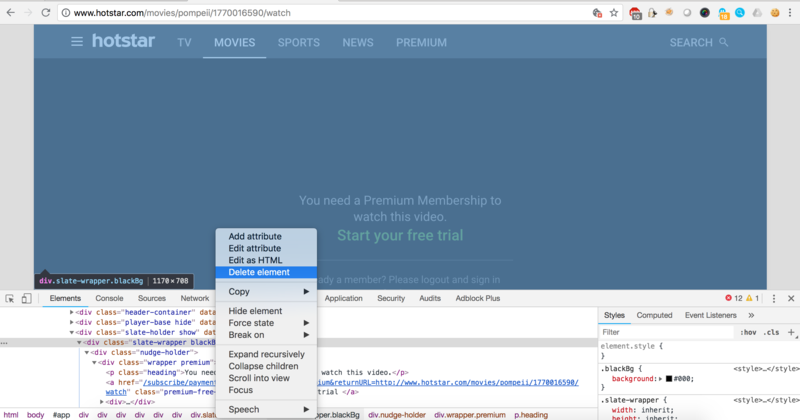 We were able to bypass these access controls and view paid premium content by manipulating the dynamic HTML DOM. The past experience in AppSec has taught us not to put security controls only at frontend or client side. The legacy examples are input validation only at client side, client side only captcha validation, hidden fields with sensitive tokens, OTP token exposed to client side etc. The main purpose of frontend is for presentation, but with the advent of JS Frameworks and MVC terminology at frontend, some developers tend to do a lot more things at client side controllers than they should actually do. 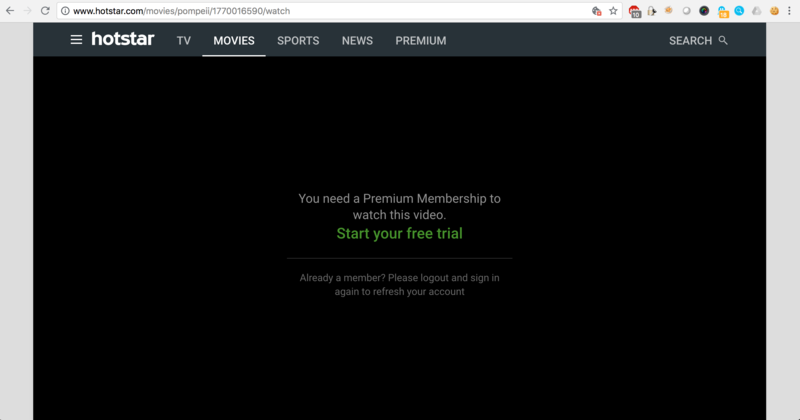 When you try to access a premium content in Hotstar as an anonymous user, you will be greeted with the following overlay on top of the video player. 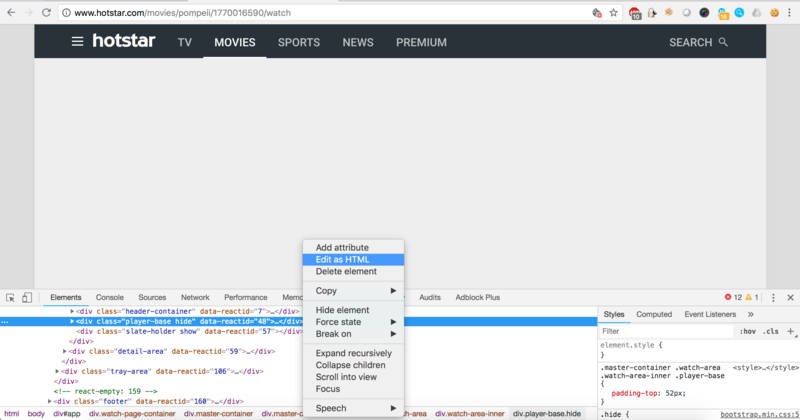 We deleted the element slate-wrapper blackBg in DOM corresponding to the overlay. Now that the black overlay is removed, we were expecting a video player in the background, but this gave us a grey screen as shown below. Hotstar didn’t had a dedicated security team or contact. After much trying, we had to contact them through their regular customer support. Yeah, they were reluctant in hiring a good security team last i remember. They conducted interviews over a pretty long stretch and then later went back saying security engineers were a little expensive / they needed someone with more technical knowledge / other such stuff ! I learnt so many things from you. This is another your great finding. MOBsf were so helpful for my mobile research. Thank you so much this great knowledge sharing.